The Beverly portable dissolved oxygen monitor provides a battery operated system for sample line measurements found in food and brewery applications. This product works with both liquid and gas phase oxygen measurement which makes it ideal for product measurements as well as tank purging applications. 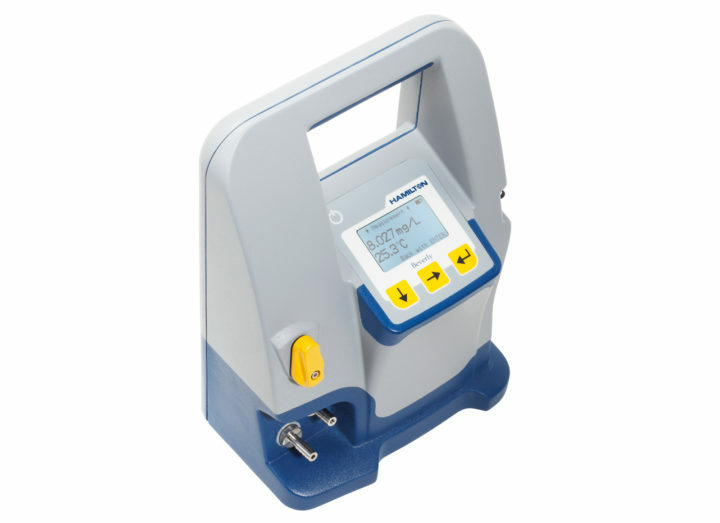 Detect oxygen pick-up and potential leaks during or after filtration. Use the Beverly for purging and final measurements prior to bottling or canning of beer. Riders Brew, a well known craft brewery outside of Melbourne, Australia, uses Beverly uses Beverly at many process steps to ensure highest beer quality. SABMiller, those days the world's second biggest brewery group, compared the portable device Beverly with competitors products in their research brewery in Nottingham, UK.